Do you have a damaged tooth? Does it need to be repaired with a filling or a crown? You do not need to worry about a dark restoration causing an eyesore when you smile. You can enjoy natural-looking results with metal-free restorations in State College. 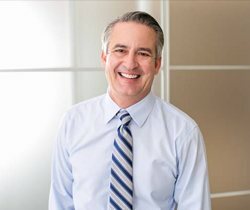 Dr. Donald Marks embraces the latest advancements in restorative and cosmetic dentistry to improve the health and aesthetics of your smile. Amalgam fillings have been the go-to solution to treat tooth decay for decades because they are affordable and effective; however, they come with several disadvantages. They are made from a combination of metals, including mercury. This not only gives them a dark appearance, but there is also a concern of long-term mercury exposure. As an alternative, you can enjoy a more biocompatible solution. Tooth-colored fillings are made from fine plastic and glass particles. They are completely metal-free, so there is no need to worry about mercury. This also allows them to be customized to match your enamel color to blend in seamlessly when you smile. Besides a natural appearance, tooth-colored fillings also improve the integrity of your tooth. Unlike metal ones, wedges are not cut into your tooth to support them. This allows more of your healthy tooth to remain intact while also reducing the risk of future cracking. 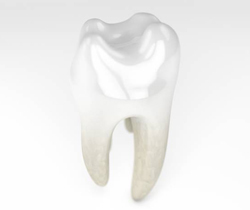 Crowns are custom-made protective caps placed over a tooth’s entire visible surface to the gum line. They can be used for an array of purposes, such as to reinstate the health and structure of a tooth with a large cavity or fracture. They are often used with other treatments are well, like root canal therapy and dental bridges. Traditional crowns are made from metals, which makes them strong and durable; however, it also causes them to be highly noticeable. Although porcelain-fused-to-metal help to solve the issue, it still causes the gum line to darken over time. Now, you can enjoy a completely natural-looking treatment with an all-ceramic crown. 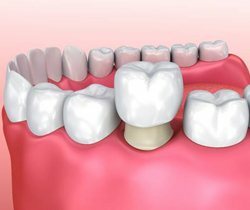 Impressions of your mouth are used to cut your restoration from a single block of all-ceramic material. It is crafted to match the color, size, and shape of your real teeth, so no one can tell that it is not your own. With the right aftercare, your crown can last for an average of 10 years before needing to be replaced. With the help of your cosmetic dentist in State College, you can improve both the health and appearance of your smile. Dr. Marks can eliminate your flaws while also reinstating your oral health. Although the crowns and fillings are not made from metal, they are equally as durable as traditional treatments. You will invest in your oral health and your confidence with metal-free options. Whether you have a tooth that needs to be treated for the first time or you would like to have old restorations replaced, he has the solutions you need. Contact our office today to schedule your consultation.